Global Packaging Solutions retail packaging division sells a wide variety of gift boxes, vinyl bags, plastic bags and the best selection of shopping bags. We specialize in producing creative graphics for any custom printed retail packaging or plastic bags that helps give your business a unique identity. Unlike other firms, we offer custom printing in virtually quantities. contact us to give us an opportunity to show you some new graphic design options for your next order of printed plastic bags, boxes or we can update your existing company logo with a new twist. When retail packaging is done correctly, your brand is leveraged and the results will exceed your expectations. Many large and small retail companies have turned to GPS to identify options, fine tune concepts and manage their timelines. Through many years of experience our retail packaging team has expanded to serve a wide range of retail companies, including small boutiques, specialty store chains and large retail concepts. 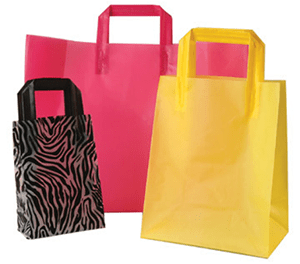 We know that your brand’s image is important to your business, and that’s why our custom-printed plastic bags, paper bags and non woven bags is a vital part of GPS’s services. We are committed to providing you with the absolute best retail packaging choices that will promote your business in the most distinctive way possible. After all, a customized retail packaging piece can promote your business, build your brand, and in turn—increase your profits. Why buy your custom printed retail packaging from GPS? When it comes to your retail store’s needs, GPS is your one stop shop for all things related to plastic bags, shopping bags and boxes. 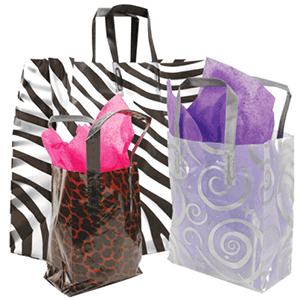 We have over a hundred years of combined expertise in the manufacturing of plastic bags, and are highly equipped to provide the retail industry with creative packaging, innovative branding ideas, and timely distribution — all at competitive prices. GPS services everyone from national chains to intimate boutiques. Our tradition of providing each customer, large or small, with personal service and superior products at competitive prices is a vital part of the GPS philosophy. There’s no retail packaging suppler quite like GPS, and we’re proud of everything we can do for you.